My parents have always taught me that equality matters that I should judge someone by the content of their character, but I admit that I do not do that. I am a racist. Let me repeat, I AM A RACIST. I don’t want to be, my parents never taught me to be, but I have learned it through my existence in this world and living all over this country. It’s baffling to me to admit that when I see a black face it causes a myriad of negative reactions. It shouldn’t be this way. My friends in elementary school were of Indian, Peruvian, African, Greek, and European descent. The first people I hung out with in Dallas when I moved at the end of sixth grade were the dudes on the basketball court; they were all black; my neighbor who I spend a lot of time with is black. Yet, my thoughts persist. I remember the first time a black kid was smarter than me. It didn’t compute, weren’t black people silly, loud, and ignorant? That’s what I saw on TV and in the news. I will say now, looking back, I did not understand the social commentary of In Living Color, The Fresh Prince of Bel Air, or the glimpse I got into black culture by staying up late and watching “It’s Showtime at the Apollo”. In high school, I thought I was being enlightened, by making a differentiation between black people and the “N” word; I even had a Confederate Flag sticker on my truck. I was, no, I am still nervous when I walk in a city and I see a group of black people. I try to play it cool, I try to act like I’m not hyper aware, but the truth is, I am. I’m not telling you all of this because I want you to feel sorry for me. I’m not telling you this because I want to take some kind of moral high ground. I’m telling you this because I don’t want my children to grow up in a world where the treatment of people is more often than not based on the color of their skin. If you don’t know what I’m talking about there are plenty of places you can read about the struggles of people of color in this country who are just trying to live their life, have some freedom, and pursue happiness just like the rest of us. It pains me that my next door neighbor has to have conversations with his two sons that I don’t have to have with mine about the realities of dealing with people in authority. It pains me that talking about race is labeled as part of the problem. It pains me that even though, I read about, pray for an end to, and learn about the history of racism in this country there are still deep, deep learnings that I can’t seem to let go of regardless of the number of people of color who I interact with, who are shining examples, who are role models, who are more faithful, and who are more loving than me. I will continue to listen to the voices that are different than my own. I will continue to do my best to teach my kids differently than I was taught by society. I will continue to recognize when I am being racist, I will continue to call out racism when I see it. I will not let this continue. It can’t continue. There was a movie that I saw my senior year of high school by John Singleton called Higher Learning. It deals with race, racism, and what can happen if we don’t acknowledge our fears and the let those fears grow into hatred, which leads to violence. The last scene of the movie is one word of text. 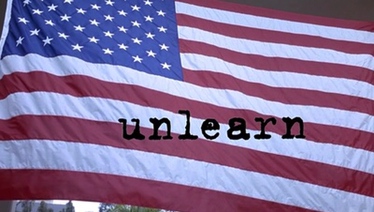 It says, “UNLEARN”. I will continue to try and unlearn the racial constructs and narratives that I have been taught and I will pray my kids never learn them. My mom is amazing, there’s really no two ways about it. A few years ago, I was going to host a bowl watching party to watch West Virginia University play University of Maryland, College Park in the Gator Bowl. You will note that I was hosting this party at in my parent’s basement (if you know when that game was, you’ll know how old I was living with my parents, still) anywho…I thought I’d get some beers, maybe some chips. Margaret Bolt went with me to the grocery store, when we got back, we had sub sandwiches, ingredients for dip, chips, an assortment of drinks, cookies, and some flowers for the table. WVU got killed by Maryland that day, but man did we eat well. My mom is the best host, helper, organizer, creator, designer I know. She also has been and continues to be the best mom I could ask for. She has been my most voracious cheerleader in sports and in life. Another story. When I was 8, I was playing little league baseball. My season wasn’t going well. I couldn’t hit a lick. My mom was also about 8 months pregnant with my little sister, Julia Bolt (who’s birthday is today.) during that particular game I made the first solid contact of the season and hit a ground rule double (my mom says it was a home run, but that’s a testament to her always seeing the best in her kids) She was jumping up and down and cheering so much that all the other parents were worried because they were afraid she was going to give birth right there. I could regale you with stories about her being there, about her staying up late to help with projects, about her holding my hand through my diabetes diagnosis, about her being there when I called to give me a reassuring word. This is a copy of the text of my column that appeared in the Nebraska City News-Press last week regarding the issue of bullying in our schools. As you may know I, and eleven of my fellow community members, are running for a seat on the Nebraska City Public School Board. A few weeks ago, one of those candidates, Matt Watkins, asked a question, “What is the one issue you would like to see the school board address? The overwhelming response was the issue of bullying. Matt has said that one of the main reasons his kids are now attending Lourdes Central Catholic was because of bullying and the response to that bullying. I know bullying happens everywhere, and it doesn’t stop with kids. I’ve seen church members be bullies, I’ve seen board members be bullies, there are presidential candidates who are bullies, there are state senators who are bullies. I’ve seen bullying at every level of human from 5-80 year olds, I’ve seen in corporations, small businesses, non-profits, you name it. Bullying is a problem. It’s a problem because the bully, for the most part, feels inadequate. All they know how to do is harass, belittle, and intimidate. There are as many reasons that people become bullies, as there are bullies. I would also venture a guess that if we took a long look and were honest with ourselves that each and every one of us has been a bully in someway at sometime in our lives. “Bullying is unwanted, aggressive behavior among school aged children that involves a real or perceived power imbalance. The behavior is repeated, or has the potential to be repeated, over time. Both kids who are bullied and who bully others may have serious, lasting problems. I would disagree with this definition but only because I would not limit bullying to “behavior among school aged children”. Other than that I think it’s spot on. I will admit that I have been a bully in the past, I will also admit to having been bullied in the past. I’m not proud of any of it, but it is part of my story (and I’m not just talking about when I was a kid). I’m also sure that they are related. After being bullied, when I got the upper hand I became a bully, because I felt like I had to take control or assert my dominance or show how important I was. Luckily, I had people in my life that would tell me to cut it out. Now, as a parent, I want to know if you see my kid bullying other kids or your kid. If my child is exhibiting any of these bullying behaviors I want to know about it. I want their teachers, staff, and administrators to tell me, I want their Sunday School teachers to tell me, I want other parents to tell me. Don’t demonize my kid, do let me know that there is something I need to address at the home. It’s hard enough as a parent to raise kids, it takes a community to raise positive and well adjusted kids. Some kids (and some adults) in our town have a good support system that will help them learn and grow. (Sometimes that support system makes the problem worse, but that’s another column). A lot of kids (and some adults) don’t have the support they need to grow. It’s up to us do better, as a community. We can do better by speaking up, we can do better by teaching rather than punishing, we can do better by engaging rather than gossiping. We can do better to stop bullying in our schools and in our community. In the past couple of years the school board and the administration of Nebraska City Public Schools have be working hard, not only to provide the best education possible, but also provide as many options for learning as possible. With the announcement of the purchase of the old clinic building on 14th and the old Food Pride building on Central I’m looking forward to see what’s next for our students. My hope is to do my best to clear the way for our students, all our students, to have an opportunity for success. An opportunity to pursue education after they graduate from high school, if they want, at a four year school, a two year school, a trade school, or in the military. I also hope to help set the stage for our students to be successful in the classroom, on the athletic field, the performing stage, and, ultimately, in our community. We are blessed with many caring teachers, administrators, and staff. I have done my best in the short time that I have lived here to get to know them. Whether that’s been serving as a chaperone for After-School programs for Hayward and the Middle School, working with United Against Violence to host a Kids Day Out, or meeting with teachers, principals, and even folks in the Central Office to find out what they need. I have tried my best to listen and to learn. My hope is to help lift those great, skilled, and caring educators up so they can do their job. My role on the School Board will be to insure they have the infrastructure they need to succeed. It’s all part of the puzzle and we have to work together in order to insure that our students, and our community, have something that no change in the stock or agricultural markets will take away, a solid well-rounded education. My children are just starting out in the education system here in Nebraska City and we have been very excited with their teachers, the paraprofessionals, and the support staff at Northside. I hope that having young children in the system I will be able to give voice to parents, who make up a key piece in the education of their children. I also want to show my children that it is far more important to get involved than it is to sit on the sidelines and hope for someone to listen to you. When I was in seminary, I found myself complaining about some of the administrative decisions of the faculty and staff. Someone said, “What are you going to do about it?” I decided right then and there that I would no longer sit on the sidelines and complain or judge the actions of the decision makers. I would become a decision maker. I ran for student government and served as vice-moderator and moderator of the Student Government Assembly. I meet monthly with faculty, twice yearly with trustees, and almost daily with other students. I think we were able to get a lot done and make some positive change. Now, I know that being the student body president of a small school is very different from serving in an elected position here, but that started my commitment to be a positive influence in my community and I think this is the next step. I would really appreciate your vote in the upcoming election. If you have any questions or want to share your thoughts I love to connect on social media. You can see more of my writing and thoughts on my wife’s and my blog (nebraskabolt.wordpress.com) or follow me on twitter (@ggbolt16) or show your support by liking my Greg Bolt for Nebraska City School Board facebook page. A man came into my office this week to ask me about my column, my work as a pastor, and my identity as a Christian. He asked me about a particular belief that is held by many in the Christian tradition but certainly not all. It is not a particular belief that I have and I do not believe it to be foundational for following of Jesus as the Christ. From what I know about myself and from what I know about God, from the authoritative witness of Scripture and prayer, is that actions are more important than words. Throughout the Hebrew Bible the prophets are decrying the worthless festivals, the books of Amos Chapter 5 and Isaiah Chapter 1 come to mind. In our study at First Presbyterian Church this season as we move through the Gospel of Mark, we find that Jesus has an immediacy about him. He wastes no time with long-winded rants, fancy robes, or state of the art worship centers. Christ comes to preach the Good News, and the Good News is not in words but in his actions, his healing, his forgiveness of sins, his breaking of bread with all comers, his seeking out those who are outcast and bringing them in. All of this is about action. I’ve been to glorious worship services that felt and sounded like rock concerts in which I knew I was in the presence of God, I’ve been to mighty cathedrals all across the world, and stood in awe of the craftsmanship and sheer majesty of place. I’ve worshipped in tin roof steel buildings in the woods of Nicaragua. All of these mean nothing if they do not inspire me to action, if they do not call me to “repent (turn), and believe in the good news.” (as Jesus says in Mark 1: 15) then they are like a clanging cymbal. If they don’t push me, drag me, coerce me into loving my neighbor more deeply, to blessing those that curse me, (both behind my back and to my face), to breaking bread with the outcast (you know, “those people”), to feeding the hungry (the physically and spiritually hungry in Nebraska City), clothing the naked (those without cover from family and friends and those without proper clothing for the weather), forgiving more (even though I really like holding grudges), listening more to those whom I have hurt (even when I think they are wrong), speaking up and speaking out in the name of justice (even when it isn’t politically or socially popular), and being open to conversation (with those I disagree and with those I agree because the Spirit works through all of us). If my faith in Jesus Christ, as my Lord and Savior, only calls me to go to church on Sunday morning or Bible study on Wednesday night, to feel good about myself, or to ensure my ticket to Heaven, then I believe I have missed the point, I have not heard the Good News. I hope that my actions reveal my faith; I hope that I live up to the standards that God sets for me and I set for myself. I know I will stumble, I know I will fall down. I share this with you to ask for your help. I’m asking for you to hold me accountable. I’m asking for a relationship with you so we can work together to bring about the kingdom of God. If you think I’m not living into the faith articulated here, if you’d like to hear more about my faith, or what’s in the Bible come talk to me, I’d love to share a cup of coffee or a meal with you. Better yet, come to our Wednesday Night Bible Study at 6:00 PM, Sunday School at 9:15, or worship at 10:30. Favorite: By the time you read this, I should be landing in Maui with my family for a weeklong family vacation with my in-laws. I’m really excited. Not Favorite: I think my son is getting cabin fever or something. He is bouncing off the walls at home and at school. I’m hoping the sun and being outside will calm him down a little.